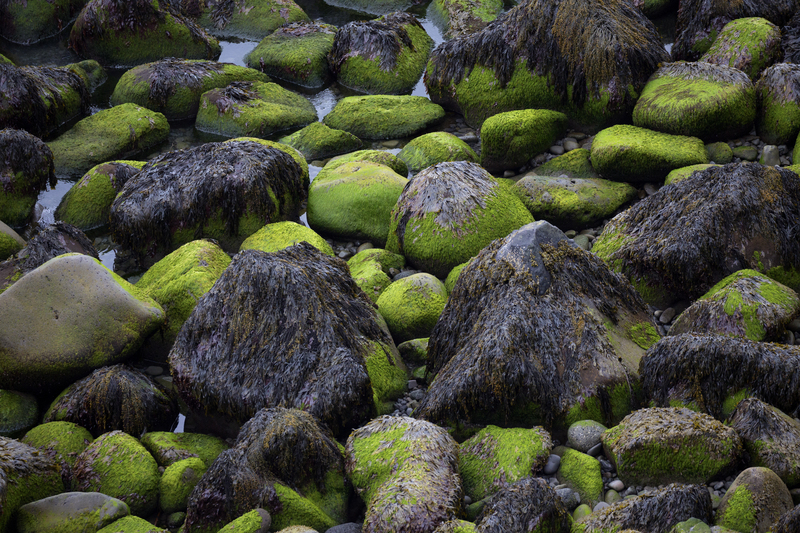 Seaweed Covered Rocks at Low Tide, Arnarstapi, Snaefellsnes Peninsula, 3 hour drive northwest of Reykjavik, Iceland. Oh that is really cool! I thought it looked surreal.